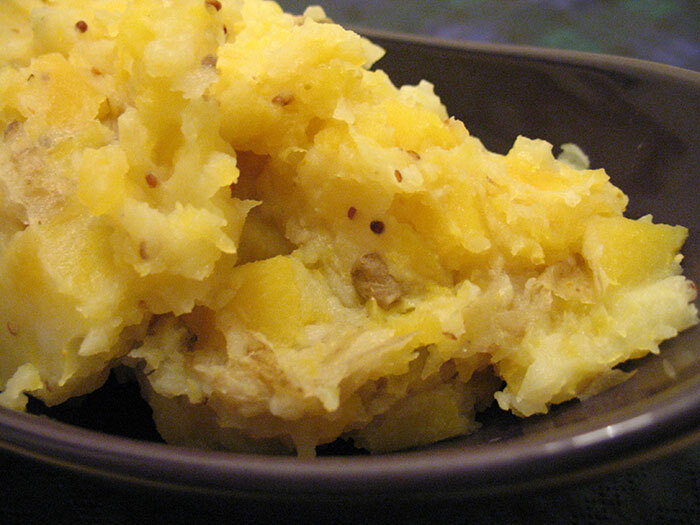 Neeps and Tatties is a simple side made from mashed potatoes and mashed turnip. 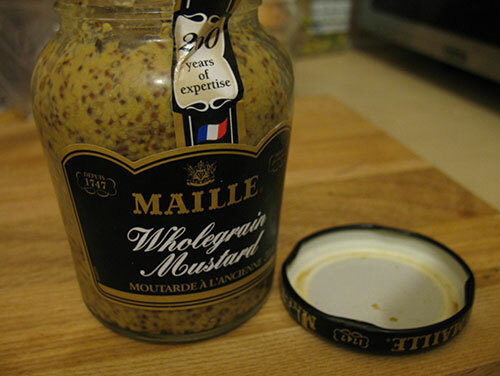 Traditionally it is served alongside haggis, but last night we had ours with pork sausages and apple sauce. 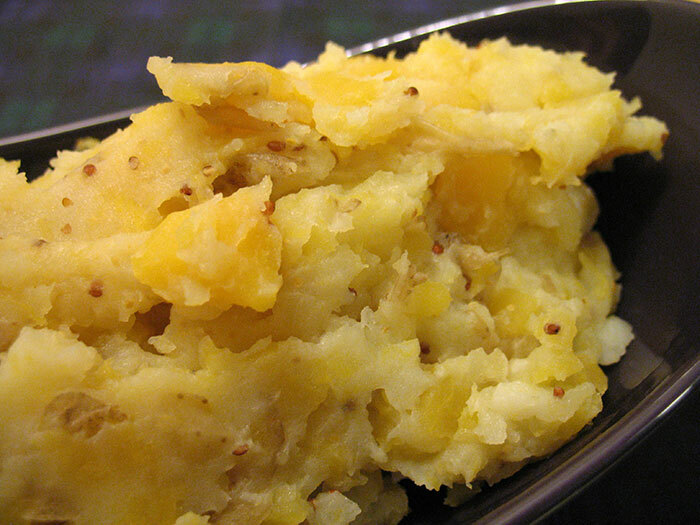 I always make my mash in a sort of rustic manner, I never peel potatoes, although I did peel the turnip. I slice them into a fairly big dice and add them to a pot of boiling water. 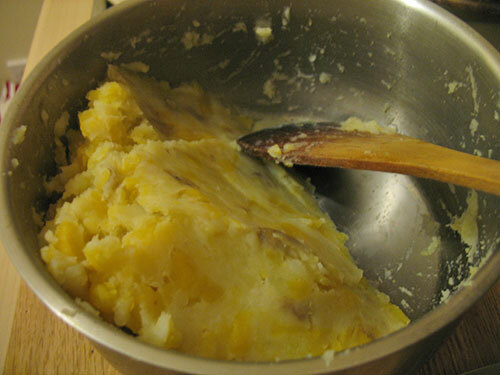 ITechnically you are supposed to boil and mash the turnip and potatoes separately and then mix, but I don’t see the point of dirtying two pans! I left them to boil for over half an hour just to make the mashing as easy as possible. As long as you cook the vegetables until they are easy to slice you should be fine. 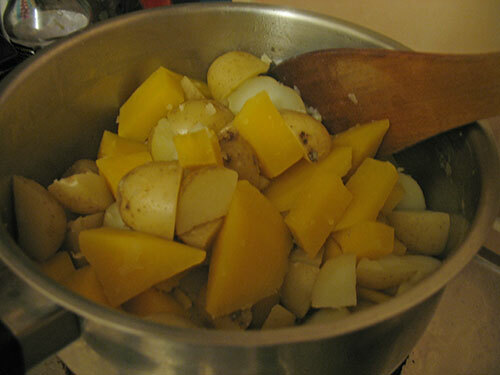 After draining the vegetables I like to add a teaspoon of mustard into the mix, and then begin to mash. I don’t like mine to be perfectly smooth, and by this point my arm was starting to hurt from all the mashing, so I left mine with small chunks of turnip. I hope you all have a wonderful Burn’s Night.